The activist’s proposal that the automaker split its stock to give some shareholders a perpetual dividend is a risky maneuver. President Trump’s plan for skilled-worker visas may make Canada great again. Plus, Republicans face high hurdles to overhaul the U.S. tax code. The ad kings have faced criticism over questionable content. Now Google is in the hot seat as brands like L’Oreal pull their digital spending. Also, Lyft finds an opening as Uber hits roadblocks. Plus: Not all is copacetic between Goldman Sachs alumni in Washington. The chipmaker is shelling out $15 bln for autonomous-driving parts firm Mobileye, a cool 30 times estimated revenue. Intel missed the mobile-phone revolution. Is it finally on the right road? Plus: Washington bounces bitcoin’s bid for mainstream acceptance. The U.S. president and congressional Republicans’ rush to ditch the Affordable Care Act is spawning pox-plagued legislation. Meanwhile, Deutsche Bank tries to get its financial house in order. And State Street’s fund managers are pushing to get more women on corporate boards. The giant Japanese tech firm has been on a global M&A tear, but shareholders aren’t buying it. President Trump's mix of details-free policy pledges and jingoistic militarism looks dazed, confused and dangerous. Plus: Silvio Berlusconi's AC Milan sale puts Chinese buyers offside. A former employee accused the ride-hailing company of sexual harassment and gender discrimination. It’s not only bad form but yet another roadblock for money-losing Uber. Plus, where do Kraft Heinz and its owner 3G go after their failed $143 billion bid for Unilever? The president's vacillating over firing national security adviser Michael Flynn is the kind of mistake that gets corporate chiefs fired. Toshiba deals its way to a $6.3 bln loss. California's water woes are a national wake-up call. And Wall Street parties like its 2007. President Trump wants to "do a number" on post-crisis financial reforms, but overturning them will be tough. Paris emerges as the top city for financial types after Brexit. Plus, why a legal brief filed by Google and others against Trump’s immigration ban is such an unusual move. President Trump's trade-tariff threats and his temporary immigration ban risk undermining business-friendly policies like deregulation and tax cuts. Meanwhile, he has nominated a Supreme Court justice. And Under Armour takes center stage in the battle for shareholder rights. Two competing tariff ideas from President Trump and congressional Republicans bring merits but mostly unforeseen risks. Meanwhile, any cut in the corporate tax rate will benefit hapless Yahoo and its Asian holdings. Plus, why it pays to bet against Davos Man's thinking. Team Trump is AWOL at the World Economic Forum's annual alpine shindig while Theresa May's Brexit plan has people on edge. That left it to China's Xi Jinping to defend globalization. Elsewhere, U.S. bank earnings disappoint. And Snapchat considers making investor rights disappear. The president-elect's attempt to avoid conflicts of interest while in the White House is window dressing that sets a bad example for his administration. Meanwhile, Trump's shadow hangs over the Detroit Auto Show. And his infrastructure plan is not as straightforward as it seems. Breakingviews columnists offer their take on the year ahead: magic mushrooms could be an economic and investment hit, big business will take drones to the skies and Uber's IPO faces an uphill struggle. Plus: Harry Potter's 20th anniversary is a lesson in preparing for surprises. Breakingviews columnists from Europe, Asia and the United States discuss what’s ahead, including Donald Trump and inequality, how smaller M&A deals will shine over big acquisitions, and why Disney may ponder buying Netflix. Plus, what we got right – and wrong – about 2016. Viewsroom: Can Big Oil’s man be diplomat-in-chief? Exxon CEO Rex Tillerson, Donald Trump's pick for secretary of state, is well versed in international dealmaking. But he's too close to Russia even for some Senate Republicans. 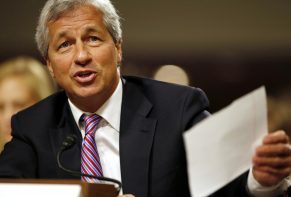 Meanwhile, Goldman Sachs shuffles the top ranks and Wells Fargo's regulatory hubris comes back to bite. Viewsroom: What’s at stake in Trump vs. China? The U.S. president-elect upended decades of diplomacy by taking a call from Taiwan's leader. But some U.S. companies will welcome his stance. And China has much to lose from any escalation. Also: Italy PM Renzi gets his marching orders. And there's no easy move to monetize chess. Viewsroom: Is Trump’s dealmaking already working? The president-elect brought in a rare bipartisan player as Treasury secretary, Steven Mnuchin and saved 1,000 jobs in Indiana. But bigger economic challenges await. And he has yet to solve his business conflicts. Elsewhere, Dallas' pension woes put a $4 trln industry on notice. Viewsroom: Should Facebook root out fake news? The social network is under fire for allowing erroneous and downright misleading media reports on its platform that may have swayed the U.S. presidential election. Meanwhile, Canada and Mexico prepare for a Donald Trump presidency. And Warren Buffett eats his words on airlines. The incoming commander-in-chief's $1 trln infrastructure pledge has buoyed builders and could even help the Fed. The bank stock rally, though, may lack a solid foundation – and Obamacare could be the election's Brexit analogy. Meanwhile, European political iconoclasts rejoice.